Our most popular brochure is the 6x9 Post Card, which attracts a lot of attention. Printed in full color on high quality 14 pt card stock. It mails at 6x9, but when you open the brochure its 18 inches wide. Just seal it with tape and mail to prospects or leads. 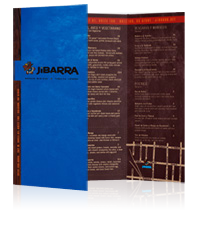 Our standard format brochure is an 8.5" x 11" sheet with six distinct folding options. This product is great for mailing, trade shows, displays, or placement in presentation folders. Turnaround 5-7 days. Rush service available. Flyers and Brochures are available with a variety of folding options in various sizes. Coating options include AQ or UV Coating. Need a custom quote? Contact estimating department below.